NJS: Many folks will be talking about how young you are. The average candidate for public office isn’t in their 20’s, but you’re taking this monumental step in a city you call home. What do you think the advantages of being a young candidate are? 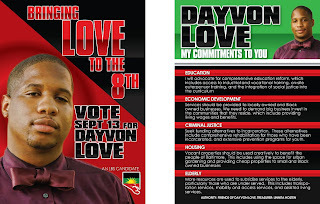 DL: There are two major advantages I have as a young person running for office. The first is that I have not been pigeonholed into a particular clique or group. I am the new kid on the block in many ways and I get to create the image I want to portray without having to wrestle with a lot of excess baggage. The second advantage I have is that I have a strong appeal to those who are young and who are tired of the status quo. My youth brings a substantive youth presence to Baltimore politics that is severely lacking now. NJS: You’re a founding member of Leaders of a Beautiful Struggle (LBS), a Baltimore-based activist group that has been active engaging the political system and asking hard questions of leaders and community members. Until your candidacy, LBS has functioned outside of the political establishment. Why do you feel it’s necessary to fight the system from within? DL: LBS understands that we need to use every tactic at our disposal in order to effectively address the oppression and suffering of the people of Baltimore. We are focused on developing a fusion of grassroots activism and electoral politics in a way that is not being deployed in this city. Running for office is a natural extension of our focus on public policy and social justice. NJS: HipHopLaw.com is about engaging the many intersections between the law and all that is hip-hop. As someone who came into hip-hop at the tale end of the hip-hop generation, a generation roughly characterized as those born between the mid-1960’s and the mid-1980’s, what does hip-hop mean to you and how will hip-hop’s influence benefit you and your candidacy? DL: Hip Hop is an organic expression of the social, political, psychological and existential aspects of subaltern voices. Born out of the womb of Black life during a time of extreme misery brought on by Reaganomics, Hip Hop provides an ear to the lives and the collective consciousness of those who are traditionally excluded by the power structure in Baltimore. Being a person of the Hip Hop generation many of the issues I will address are an outgrowth of the many concerns expressed in Hip Hop. NJS: Most urban environments are characterized by tense relationships between law enforcement and minority communities. Hip-hop has made much of this tension. Baltimore, like most cities, is not immune from such difficulties. What can you do to help resolve these tensions? DL: We need a new paradigm of law enforcement that makes substantive community engagement a necessity for those interested in a career in law enforcement. This means that people in uniforms are not merely patrolling their communities, but are involved in other aspects of community life. A policy that demands substantive community engagement of officers with the community would be a policy I would advocate for as a city councilman. NJS: Debate is a tremendous activity that demands excellent public speaking skills, research skills, and teamwork. Your alma mater, Towson University, is the only intercollegiate policy debate team in Baltimore and one of only two colleges in Maryland, the other being the United States Naval Academy in Annapolis. What has debate taught you that will help you work with your potential councilmembers? DL: Debate has given me skills to rigorously test issues of public policy in a way that no other activity can. It has given me a critical perspective that has a deep intellectual backing. This allows me to be an independent-thinking city councilmember who can exercise leadership on important issues. Debate has also taught me how to effectively refute arguments in a way that is persuasive. Those currently in power provide arguments with a lack of soundness, and debate gives me a unique opportunity to use the skills I’ve learned to challenge councilmembers who are defenders of the status quo. 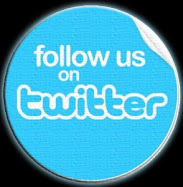 NJS: What are your policy priorities? Education, crime, access to social services, and (re)development are all issues in Baltimore. What do you plan to do about these issues? DL: The major issues I want to address are education, criminal and juvenile justice, economic development, housing, and youth development. This will allow young people in Baltimore who are not interested in going to college to have real alternatives. Vocational/Industrial education has been mostly abandoned by public schools. Re-integrating this into the education system will allow for young people to have skills that can help them make a living. Also with the rise of Information Technology, there is a huge market for people with skills in this area, and these skills do not require comprehensive academic training. This can provide employment opportunities for many young people in Baltimore who are finding it hard to find employment. Mentoring needs to be institutionalized into the school system. This is a very basic concept, but also very important. It should be required that students engage issues of social justice. With so many injustices that confront them everyday, it is a crime not to teach students about the injustices that they see in their own lives. There is an entrepreneurial spirit amongst the young people in this city, but they are not given the formal skills to start businesses. Schools should provide the opportunity for youth to development businesses so they can be participants in the economic activity of Baltimore. NJS: And now for a few questions that might be of more direct interest to our readers… Favorite hip-hop artist and album? DL: Hard question. My answer to this question changes all the time. 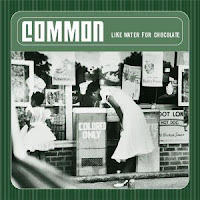 Right now, it would be Common and his album Like Water for Chocolate. NJS: What blogs do read regularly? DL: I don’t read blogs regularly (NJS: Except for HipHopLaw.com of course!). NJS: Is hip-hop political? If so, how can communities harness this energy? DL: Hip Hop is political because of it’s ability to capture the attention of the masses. We need the Hip Hop community to take the power that they have and use it to support political candidates that will represent the people in the Hip Hop community. NJS: Thanks for the time, Dayvon. It's great to see young people taking the opportunity to positively affect their communities and who are willing to advocate for change. Best of luck.